Luke Somers’ family has appealed in a video to al-Qaeda militants in Yemen to “show mercy” and release him. A man identifying himself as Luke Somers, who was abducted in 2013, appeared in a separate video on December 3, saying his life was in danger and asking for help. The US has revealed it tried to rescue Luke Somers in November 2014. “Regrettably, Luke was not present, though hostages of other nationalities were present and were rescued,” the National Security Council said on December 4. In a video posted on YouTube, Luke Somers’ mother and brother said he was “only trying to do good things for the Yemeni population”. “Luke is only a photojournalist and is not responsible for any actions the US government has taken,” his brother, Jordan, said. 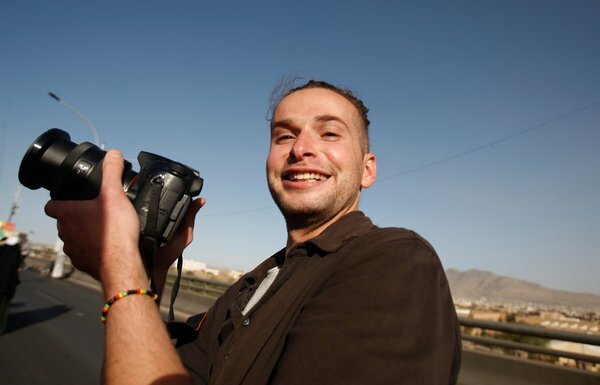 Luke Somers, 33, worked as a journalist and photographer for local news organizations and his material appeared on international news outlets. In the video released on December 3, a member of al-Qaeda in the Arab Peninsula (AQAP) threatens to kill Luke Somers unless unspecified demands are met. In a statement afterwards, the White House said President Barack Obama had authorized a rescue operation to free Luke Somers and other hostages last month, but that he was not present at the time of the raid. On November 25, US and Yemeni forces rescued six Yemenis, a Saudi and an Ethiopian being held by AQAP in an operation at a mountain cave in the remote Hajr al-Sayar district of Hadramawt province. Seven militants were reportedly killed. AQAP’s threat to kill Luke Somers follows the murder of five Western hostages – including three Americans – since August by the Islamist militant group Islamic State, which controls parts of Syria and Iraq. The Obama administration has been criticized for not paying ransoms, not allowing hostage families to speak out and not taking opportunities to negotiate. AQAP is regarded by the US as one of the deadliest offshoots of al-Qaeda. The group is based in eastern Yemen and has built up support amid the unrest which has beset the impoverished country since the overthrow of President Ali Abdullah Saleh in 2011.